More than 4 billion people around the world use the internet, a number that is continuously growing. More and more people are online, so it’s increasingly essential for companies to be online, too, and to succeed, businesses need digital marketing. Ratings and reviews site Clutch recently conducted a survey of 500 U.S.-based digital marketers to discover how businesses use and benefit from digital marketing, an important tool for businesses to reach technology-focused consumers. 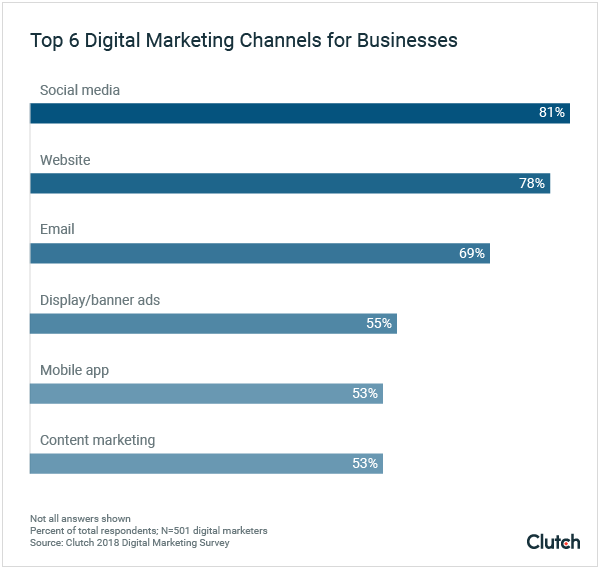 What Digital Marketing Channels Do Businesses Use? Businesses see the need to invest in multiple digital marketing channels, but the most popular ones are social media (81 percent), websites (78 percent), and email marketing (69 percent). Businesses invest in a variety of channels because it helps them reach their goals better than if they focused on just one or two channels. For example, not every potential customer will be on social media, but if a business uses a combination of social media, email, and content marketing, it is likely to reach more consumers who prefer different channels. It is better to focus on multiple channels than to bet on just one. 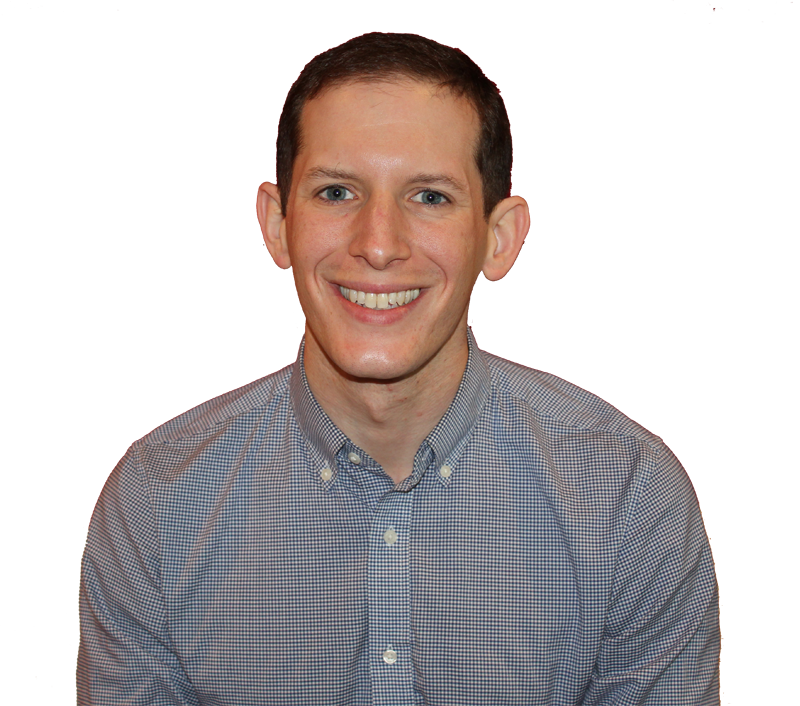 After all, you never know when algorithms can change that could adversely affect your business’s strategy. Don’t put all your digital marketing eggs in one basket. The biggest goal businesses have for digital marketing is to increase their sales and revenue (28 percent). Every strategy a business has is usually one that leads to more profit, and digital marketing is no different. Simply put, if done right, digital marketing can help a business make more money. 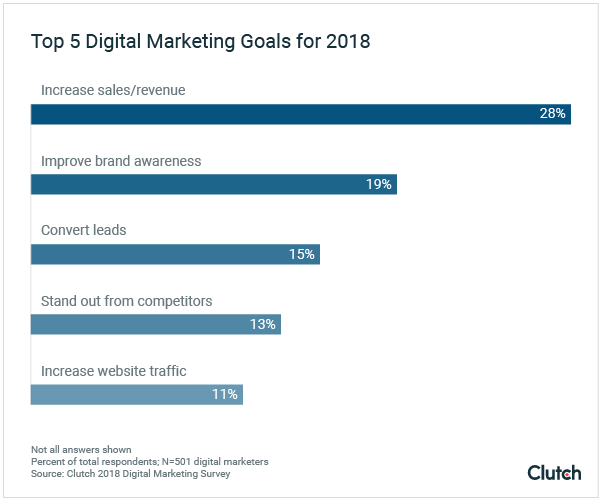 Other digital marketing goals include improving brand awareness (19 percent), converting leads (15 percent), standing out from competitors (13 percent), and increasing website traffic (11 percent). Only 17 percent of businesses believe they are not effective in achieving their digital marketing goals. However, just because a business thinks it’s effective at digital marketing doesn’t mean it can’t improve. A good digital marketing strategy is a start, but why stop at good? Businesses with a great digital marketing strategy can achieve their goals even better, and who doesn’t want more sales or revenue? The digital marketing world is always changing, so a business should always be refining its digital marketing strategy because an effective strategy today could be a failing one tomorrow. Your digital marketing goals should always be ongoing. Businesses that only rely on traditional marketing are likely falling behind. Digital marketing is one of the best ways to reach consumers. Potential customers don’t want direct mail; they want email. They aren’t persuaded by billboards; they’re persuaded by social media. They no longer use newspapers; they use websites. Businesses must have a digital marketing strategy in place. Businesses need to be where their customers are, and in an increasingly digital world, that’s online. Digital marketing is the future of marketing, and businesses that don’t invest in it are losing out on countless customers and an increased revenue.